Wauw it's a long time since we last visited this project. I had a look at the hashtags, and it was back in August last year I last showed you this. I recently started stitching it again, and I still find so much pleasure in it. 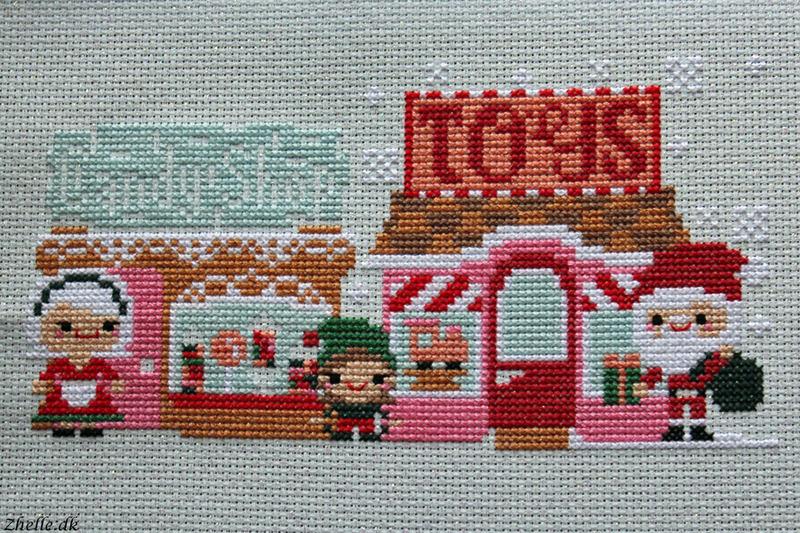 It is such an adorable Christmas scene by The Frosted Pumpkin Stitchery, and the sparkly aida gets it to a whole other level. The only annoying thing is that it is so difficult to sit and stitch, when the frame is as wide as it is horizontally. It takes extra time, but that's how it is until I get myself a stand to hold it. 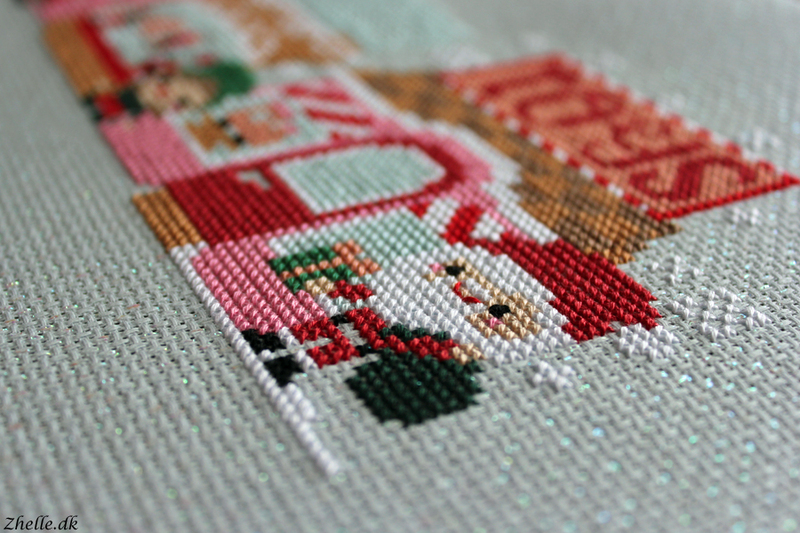 One of the tricky parts of this stitch is the metallics. The pattern calls for DMC Diamond thread in gold, and this will be the first time I'll stitch with it. I did a few tests on the back of the fabric, because I wanted to test if it should be one or two threads. 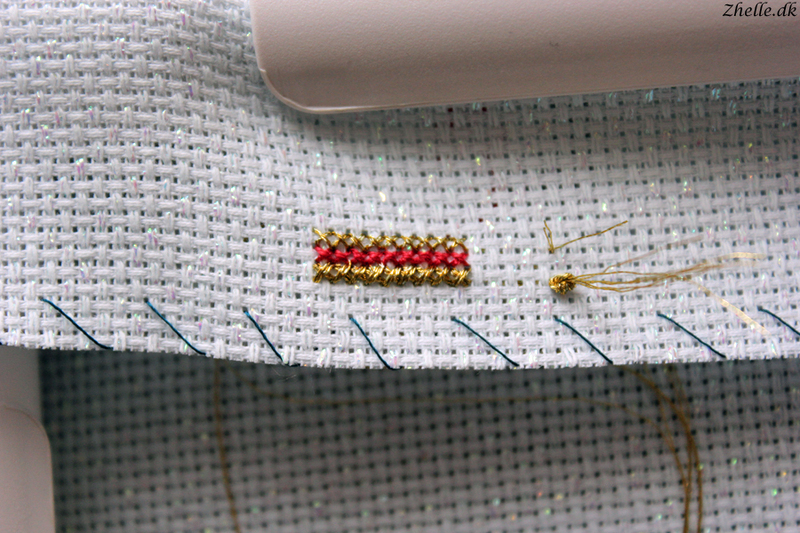 The red thread in the middle is a normal two strand stitch to compare the gold to. I think it will look better with one thread instead of two, because it will "blend in" with the rest of the embroidery more than with two threads.